What type of VMAL membership do I need to participate in this program? If you are an 8th through 12th Grade student with less than 2 years martial arts experience then you should apply for a Junior Varsity Letter. If you are a 10th through 12th Grade student with 2 or more years martial arts experience then you should apply for a Varsity Letter. If you are a Continued Education student with 2 or more years martial arts experience then you should apply for a Collegiate Varsity Letter. $45 per program year. An application and fee must be submitted for each year of participation. Fill out the APPLICATION HERE or download a PDF COPY. After VMAL receives your application, an email will be sent to you with information about the program. What is the time frame to meet the hour and competition requirements? Each program year runs from June 1 through May 31. Any hours or competition within the program year may be used, regardless of when you sign up for the program. What is the deadline to submit all the required materials? All documentation must be complete and received in the VMAL office by June 15 for graduating seniors. If I have already met the requirements of the program do I have to wait until May 31st to submit everything? No. We encourage you to submit your log, competition record, and proof of enrollment as soon as you have met all the requirements. There is an enormous increase in submissions received at the VMAL near the end of the program year. This greatly increases the amount of time to process each submission. Submit your documentation early for faster processing. Can I send my documentation in separately? Please send all of your records (hour log, competition verification, and proof of enrollment) in at the same time, by the same method. Please choose one method (online OR email OR mail OR fax) to submit your records. Online submissions are preferred and are typically processed faster. Sending piecemeal paperwork through multiple avenues increases the amount of time spent processing each submission and increases the possibility of lost documents. Please keep a copy of everything you are submitting for your records. What do I send to provide proof of enrollment in high school? Current report card, current transcript, current mid-term report card or certification of enrollment in a home schooling program. Verification must include student’s name, appropriate grading period, and institution name/home school designation. Please black out your social security number if it appears on your transcript before submitting the document. How many hours does the program require? 100 hours which can include martial arts classes, clinics, demonstrations, seminars, competitions, etc. Students must complete in four (4) competitions during the program year. 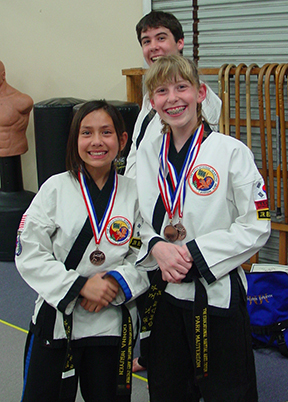 Any competition that is organized by a recognized martial arts organization or club will count toward the requirement. Example: TEMAS, WTSDA, WTF, local, state or international tournaments such as the Junior Olympics, etc. and many more. What do I submit as verification that I have met the competition requirements? Verification must include student’s name as a competitor along with the competition’s name and date. Verification accepted includes results printed from an online source, invoice from competition, signed letter from competition organizer and participation certificate. Can I apply for previous years in school? Yes, we do allow students to sign up retroactively as long as they are still a current martial arts student. For example, a sophomore just finding out about the program can also sign up for their freshmen year. Students are still required to provide verification for each year they are enrolled to meet the requirements for that year. What are my options for receiving my award? TEMAS VMAL will be the monitoring and certification providing agency. The Public, Private or Homeschool may award VMAL Varsity Letter at their yearend sports awards event. 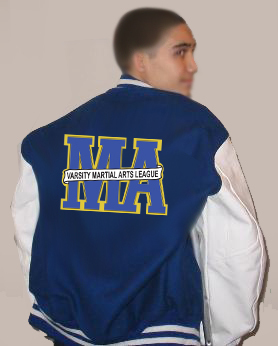 The Martial Arts Instructor may be invited to present the VMAL Varsity Letter at the yearend sports awards event. The Martial Arts Instructor may award the VMAL Varsity Letter at the training center. TEMAS will publish on the VMAL Varsity Letter portal recognition. The VMAL award will be sent to me directly. In all of the above recognition options the recipient, the training center, the educational institute, and guardian will be notified of the VMAL Varsity Letter achievement and sent your Certificate of Achievement. This Certificate of Achievement will be able to be printed and or posted. 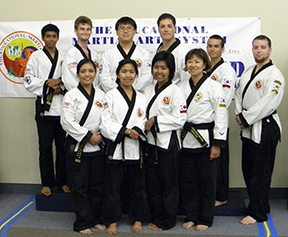 Are there any costs for my martial arts school or educational center to participate in the VMAL? No. Participation in the VMAL is voluntary, there are no fees associated in any way for the educational institute or for the martial arts school or instructors. The VMAL is associated with TEMAS a nonprofit corporation.